Throw another of my 2019 Resolutions in the “done” pile. I got my friends together and we played an actual game! One of my best friends lives on the other side of the country and doesn’t come back here very often. Usually he makes it home for the holidays, which doesn’t leave much time for gaming. But this time he made it back for a vacation. We made a point to set up a game night, and I managed to get three other guys together too! The game: the new Star Trek Adventures by Modiphius. 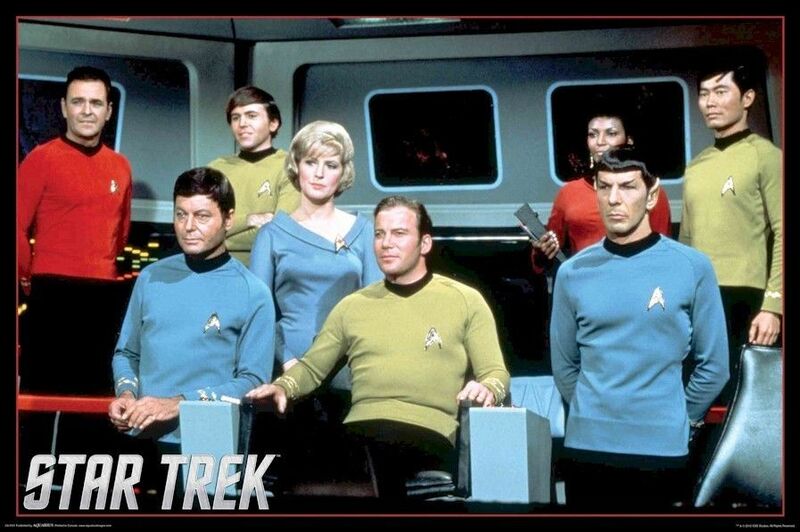 Being the Game Master, I decided to set the game during the Original Series era, and the players would take o the roles of Kirk and the Enterprise crew. Since we only had a few hours to play and only one copy of the rules, making original characters would have been silly and would have eaten up a huge chunk of our time. With this in mind I also decided on using a published adventure…but rather than use any of Modiphius’s adventures (many of which are quite good), I chose to adapt an old FASA Star Trek module to suit my purposes. 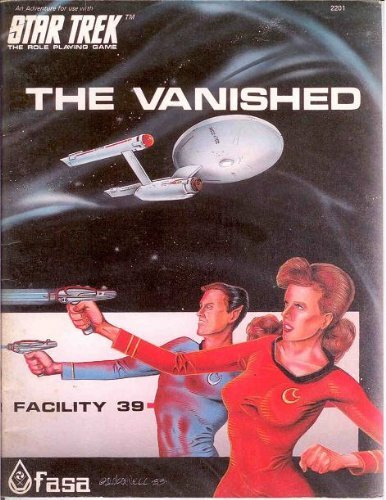 I chose The Vanished, by Guy McLimore and Greg Pohlein (credit where credit is due) which was actually designed with the Enterprise crew in mind. To my knowledge, none of my friends had ever played this adventure (we never played the old Star Trek RPG back when), so they would be unfamiliar with it. To make matters worse, another ship arrives, filled with Orion pirates disguised as corporate employees. They’re here to steal the transporter tech with the help of an inside man, but they weren’t expecting to find their man disintegrated and the Enterprise in orbit around FDR 39. Still, they try to bluff the Enterprise while sending their own team to the station to retrieve the tech. Meanwhile, in orbit, a couple more of the aliens gain access to the Enterprise. Since the crew aboard have no idea about the aliens, they’re in the dark about how to deal with them. While the ship’s crew tries to repel the space amoebas, the Orions on the station either get control of the transporter tech and make a run for it (cue starship combat), or fail to get the tech, but still try to make a run for it (cue starship combat). The landing party was made up of Kirk, Spock, McCoy, Scotty and two uncontrolled supporting characters, Lt. Suvek and Crewman Ramirez, both security officers (redshirts). This left Sulu in command of the Enterprise, along with Uhura, Chekov and Nurse Chapel, as well as several supporting characters, most notably Chief Specialist J’Zhara, an Andorian female engineer. Of course, Kirk and the Orion pirate leader (disguised as corporate employee) had a romantic flirtation pretty much throughout the entire evening, which annoyed Bones and made Spock’s player delight in ruining the moment by constantly interjecting his scientific observations and theories at inopportune times. (I suppose I should clarify that the Orion pirate leader was female, but not an Orion. Still, she led a bunch of Orions.) Fun stuff. The most surprising moment of the night was when the Orion ship finally fired on the Enterprise and made a run for it, Kirk and the landing party was still aboard the station and Sulu was dealing with the aliens in the Enterprise shuttle bay. This left Lt. Uhura in command of the Enterprise, as she was the ranking officer on the bridge! She wasted no time in pursuing the Orions and locked a tractor beam on them, preventing their escape! Considering she never did anything remotely as interesting on the TV series, this was pretty awesome! Speaking of the shuttle bay, Sulu and company were having a hard time with one of the space amoebas. They opened fire on it and failed to do any damage at all. Then Nurse Chapel, of all people, stepped up and vaporized the alien without any problem whatsoever. Finally, as any GM knows, your players will throw a wrench into any plans you are foolish enough to make. In this case, you would expect the story to unfold something like: board the station; discover the transporter accident; deal with the aliens; deal with the pirates; fix the broken power relay; save the station personnel by restoring their transporter signatures; capture the Orion vessel. The end. Instead, it was: board the station, encounter the aliens, flirt with the Orion pirate captain, fix the power relay, inadvertently help the Orions steal the transporter tech from right under your nose, discover the transporter malfunction, chase the pirates, capture the Orion vessel, get the transporter tech back, and (eventually) save the station personnel by restoring their transporter signatures. The end. I like Star Trek: Adventures, although I will say there’s a lot to keep track of. Seeing how it was my first time running the system, I’m pretty sure I didn’t do everything right. It was a fun time, and it was great to see some of my old friends around the gaming table again. (One of our players hadn’t played a game in over twenty years!) I’m hoping we get to play more often, possibly with original TNG-era characters. Fingers crossed! Sounds like you had a great day/night with everyone playing their character to the hint (or out of their pants, in Kirks case). I much preferred the original series over any of the re-boots myself (especially Voyager, hated that!). I have tried on at least 3 separate occasions to watch Voyager. I never really get past the middle of the first season. I think it’s because I only like one character in the entire crew (B’elanna). The game was fun for sure. I’m hoping I can keep up the momentum (no pun intended for those who play 2d20) and get a regular rpg group going. Voyager always reminded me of the “The Hitch Hikers Guide To The Galaxy”, you remember where they are supposed to have got all the useless people in the world (phone hygienists etc…)and put them on a ship and launched them into space saying the rest would follow on in two more…. Well I always thought that Starfleet had put all the really annoying people from the academy put them on the one ship and sabotaged it so it ended up on the other side of the universe! I’ve tried to watch “Firefly” several times and just cant get more that three or four episodes in, it’s cowboys in space for gods sake! Gotta disagree with you, Roger: I think Firefly is fantastic. I do know that the broadcast order was not the order in which the episodes were supposed to occur chronologically (one of many network errors regarding that show) if that makes a difference. They did the same thing with the cult classic “American Gothic”, starring Gary Cole as (pretty much) the Devil. Great series, but they aired it out of order, so a lot of people lost interest when it stopped making sense. These sort of evenings (and games) are one of the reasons I miss my old RPG gaming group. Unexpected events, people embracing their characters and the challenge of dealing with players not doing what you expect was always a great deal of fun. And less ‘stuff’ needed before you can play a game. Sounds like you had a riot…in a good way. Good stuff, Keith. I miss gaming with others in all forms, Jez, but I started as a roleplayer and I’ll always be more of a rpg fan than a miniatures gamer. Both have their good points, but nothing beats getting together with a bunch of old friends and storming a castle.